The Bee5 Base in Aluminum is the newest addition to the Bugaboo family, and is designed to keep urban adventurers on the go in the ultimate style, function and comfort – with all new interchangeable seat fabrics, sun canopy and wheel caps for a truly unique stroller. Tailored Fabric Set from the drop-down menus. Select additional accessories to upgrade your stroller. turning and a steady ride. – 6-inch lockable front swivel wheels. – Durable foam-filled rubber tires never go flat. – Easy one-piece compact folding for convenience and storage. – Extendable seat pulls out to support little legs. – Five-point harness with height-adjustable shoulder straps. 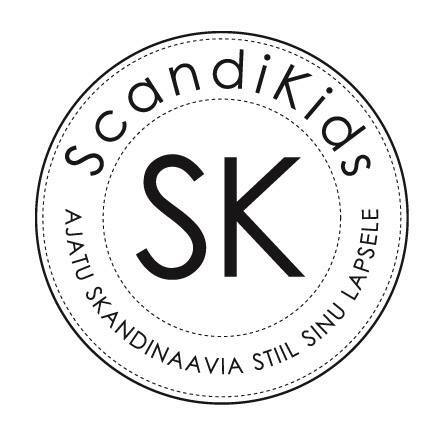 – All fabrics are machine washable. to toddler mode with optional accessories. to convert into a bassinet or seat. – Tailored seat fabric is water-repellent and padded. 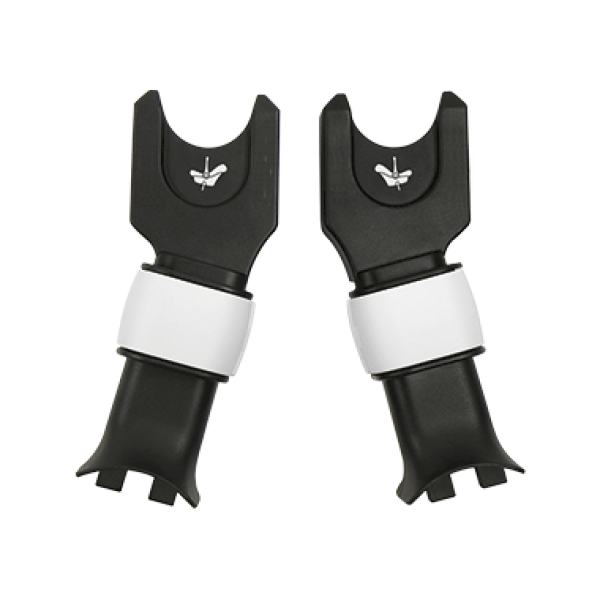 – Leather-look soft grip handles. 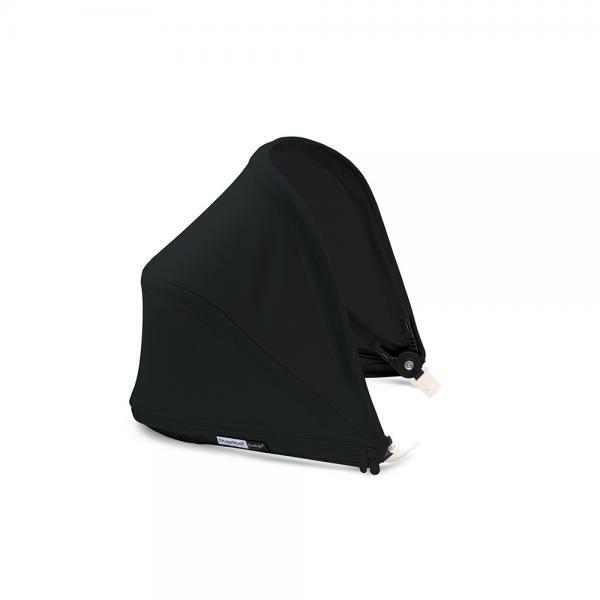 *Complete your stroller with the Seat Fabric/Bassinet, Sun Canopy, Grips and Wheel Caps by selecting your items from the drop-down menu. – 6-inch swivel wheels and 6-inch rear wheels with durable foam-filled rubber tires. – Changeable seat fabric, sun canopy, grips & wheel caps. – Weighs Approximately: 8.9 kg. – Folded Measurements: 90 x 46.5 x 32 cm. – Unfolded Width: 53 cm. – Underseat Basket: 22 Liter. – Max Basket Weight: 4 kg. – Footmuff for cozy strolls on cool days. – Seat Liner protects against spills and wicks away moisture. – Parasol+ offers UV-protection on sunny days. – Bugaboo Bag keeps your necessities close at hand. 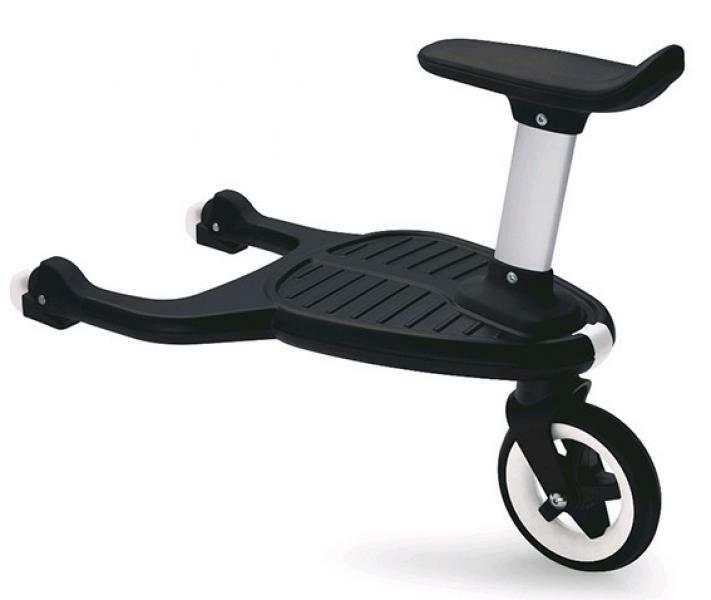 – Comfort Wheeled Board+ gives independent walkers a lift. – Cup Holder+ for taking your favorite drink along for the ride. – Breezy Seat Liner keeps them cool and protects against stains.